I sat down to retouch this piece, change its style slightly, and … there I was, back under the umbrella. It was like remote sunshine therapy with a big YouTube smile at the end. I hope it does the same for you. It’s mid-week and warm. We’re in a fishing village, between a sea-blue sky and its beach below, with hardly a tourist in sight. 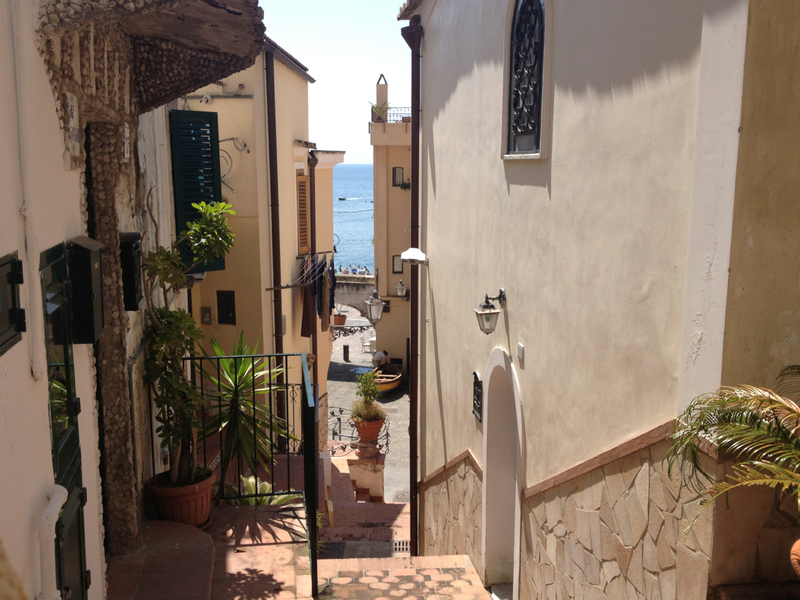 The name of the small town is Cetara, on the Amalfi Coast.